A cotton print fabric with satin ribbons decorate this martingale walking lead, collar and leash combination for a greyhound, Saluki, Afghan hound or similar size large dog. It is fully lined with the same cotton fabric over soft polyester fleece padding. The webbing base is 800lb test polypropylene. The D-rings are heavy-weight, zinc or nickel-plated, welded steel. The collar part is 2 inches wide and about 13 inches from ring tip to ring tip. This will fit a medium large dog with a neck size about 14 inches to 15 or 16 inches. The leash part is made of 1 inch webbing about 6 ft long. A walking lead is designed and constructed as a single unit; the leash is not detachable. 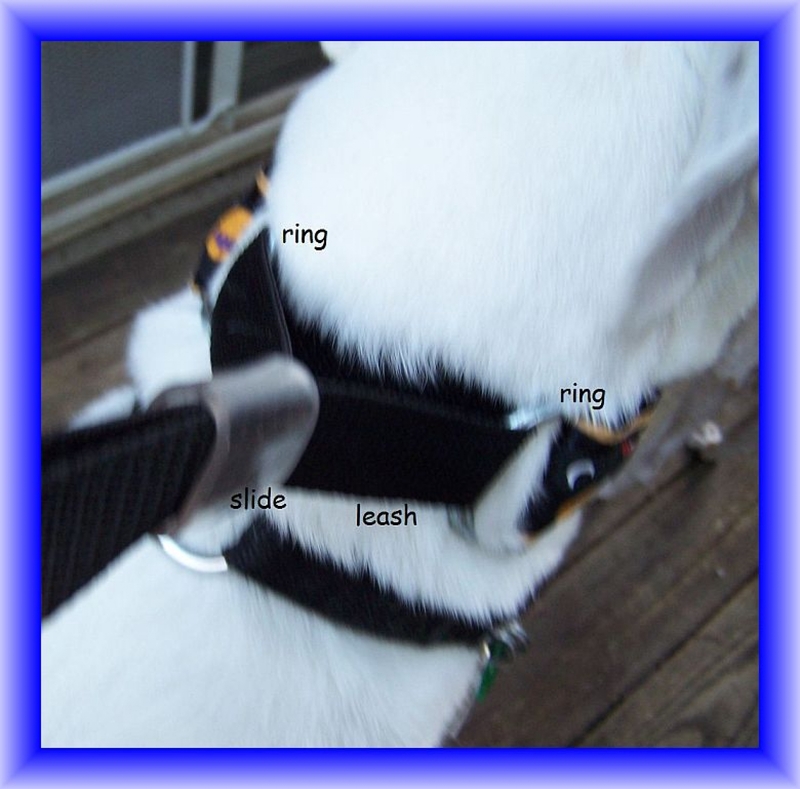 The collar part slips over your dog’s head and the small plastic ring on the leash slides up or down to adjust the fit. Candy demonstrates how this is worn. 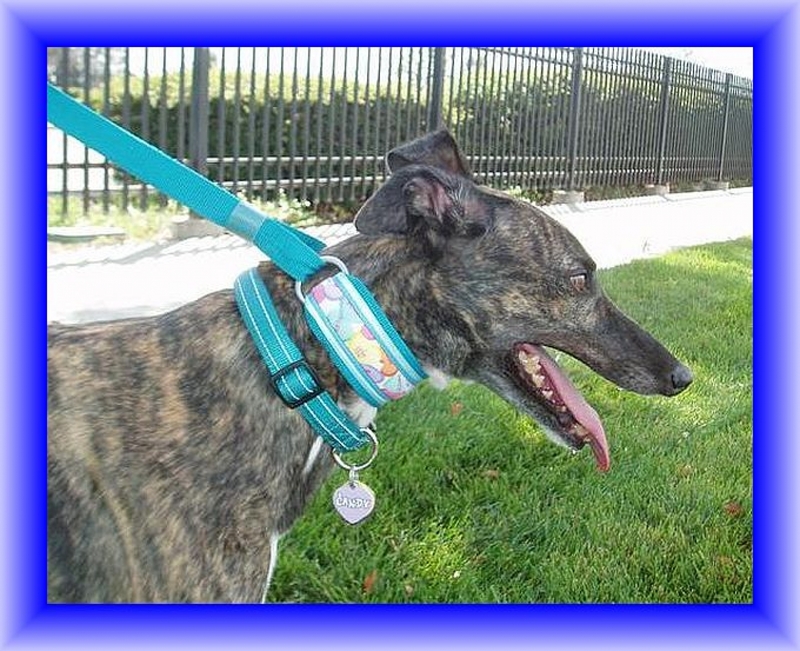 My leads are designed primarily to fit sighthounds (who can easily back out of a regular collar and leash), but work equally as well on other breeds of dogs.